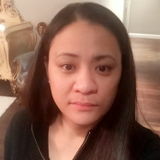 Want to connect with Priscila? Hi I am a pet lover and I have my own dogs and treated them as my baby, they are my great friend and companion. I have cats and love them when they purrr and making noise. I enjoy walking them to the park taking care and give them bath and play with them and feeding them with love and care.